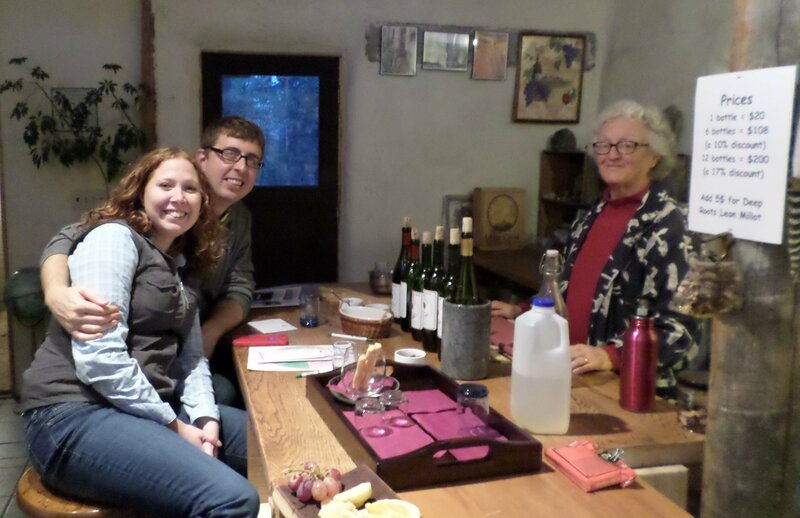 Last Sunday (11/15/15) we tasted wine with local sommelier and cultural anthropologist, Danica Romeyn, and her husband Matt. Danica and Matt brought some fruits, cheeses, salami and crackers for pairings. 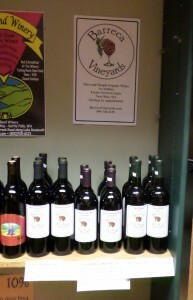 Cheryl and I brought out 6 of the wines that we are now selling. This was a lot of fun and very educational. Danica brought an aroma wheel, a chart that divides aromas in to a range of different smells. Starting with the aroma and going through each of our wines, we were able to describe them more completely as to nose, body, acid, color and compatible flavors. Here is what we found. 1. Golden Globe 2013: This is a blend of 60% Riesling, 24% Geisenheim and 14% Gewurztraminer. It is a clear wine with amber color, semi-sweet with light acid, medium light body. It has aromas of butterscotch, caramel, dried white raisins and toasty dried pineapple. Suggested pairings are apple dishes and creamy white cheddar cheese. 3. Marechal Foch 2012: This is another French hybrid with an especially dark red color, medium body, higher acid and a slight minerality that make it feel tart and alive as it opens up and lingers in your mouth the taste mellows like Merlot. On the nose you can smell Bing Cherry, and an earthy anise aroma. Suggested pairings are salmon, teriyaki and sweet barbecue. 4. French Rocks Red 2012-13: This is a blend of Marechal Foch and Luci Kuhlmann, both varieties developed by Eugene Kuhlmann in the Alsace Lorraine region between France and Germany. 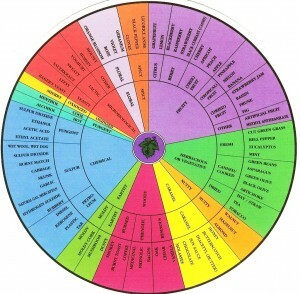 As a blend it has complex aromas of black pepper, maple syrup, raspberry, vanilla, wet stone, straw and sorgum. It has a medium body with a deep purple color. The spicy first taste mellows to a smooth finish. It would go well with tomato dishes, stuffed mushrooms, cured meat and dark chocolate. 5. Luci Kuhlmann 2013: The first aromas are of jammy dried fruit, and a toasty vanilla. The taste is of a very berry medley with a date finish. It is a medium light semi-sweet wine with a deep red color and a smooth light finish. We would pair it with duck, lamb, Swedish meat balls and goat cheese. 6. Luci Kuhlmann 2013 – sweet: This is the same crop of grapes as the previous selection but it finished with more residual sugar and is our sweetest wine. You can smell vanilla, raisins, pie cherries and cranberry as it opens up. The taste of cranberries and dark cherries follows with a memory of hard candy. We suggest having it with mild chocolate, brownies, nuts or biscotti. Luckily we have a good supply of most of these wines, but the holidays may change that. Of the wines reviewed here, Baco Noir 2012, Marechal Foch 2012 and French Rocks Red 2012-13 are available at Meyers Falls Market and on display at the far left end of the wine room as you walk in.